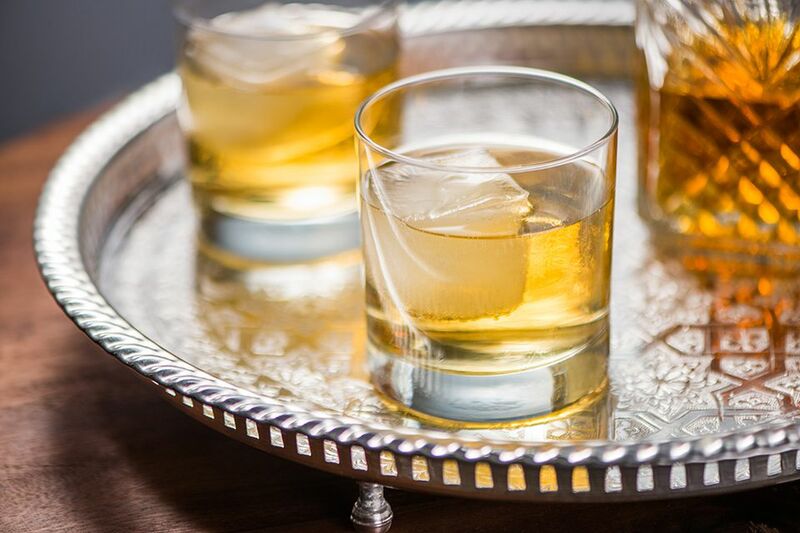 The whiskey highball is a simple, classic, and popular way to enjoy your favorite whiskey. This recipe is one that every aspiring bartender should know and it is, quite simply, whiskey and ginger ale. That makes it very easy to memorize. This tall mixed drink is a refreshing way to enjoy any style of whiskey. Blended, bourbon, Canadian, and rye whiskies all work very well. When you pour Irish whiskey, you'll have a drink called the Irish buck. There are some versions of the highball recipe that use plain soda water, but ginger ale is the most common mixer used. The soda's sweet and snappy flavor is a nice accent to whiskey and each ginger ale is a little different. Between the two ingredients, you can create a nearly endless array of tastes, which is one of the reasons it's so popular. This mixed drink should not be confused with the class of drinks called "highballs." Those include most tall drinks that combine a shot of a base spirit and one or two non-alcoholic mixers. To take it a step further, the word "highball" is also used when referring to the tall glasses that these drinks are served in. In the bar, the combination of whiskey and soda in a tall drink is very popular. If you're looking for a refreshing way to drink your favorite whiskey, there are many common drinks that follow this formula. With a bottle of ginger ale, for instance, you can make a Mamie Taylor with scotch and add a little lime juice. For a drink that's just as sparkling but not quite as sweet as the highball, try the Presbyterian, which cuts the ginger ale with club soda. When you want to get a little more complex, go for the Irish Gold. In that recipe, you'll pour Irish whiskey, peach schnapps, and orange juice. A classic favorite in this style is the one and only John Collins, a mix of bourbon, lemon juice, simple syrup, and club soda. It's very similar to the Whiskey Fizz, which opts for sugar over syrup and is generally made with blended whiskey. One of the easiest highballs is the branded Seven and Seven. For that one, you'll simply pour Seagram's 7 Crown Whiskey and 7-Up. And, when you want to take your whiskey to the drier side, mix up the Leprechaun. It's made with Irish whiskey and tonic water and is an excellent dinner companion. How Strong Is the Highball? The highball can be a very light drink and that's why it is perfect for happy hour. It all depends on how much soda and whiskey you choose to pour. For example, if you pour an 80-proof whiskey and follow the recipe as given, your drink would have an alcohol content of about 9 percent ABV (18 proof). Then again, if you double up on the whiskey, opt for a high-proof whiskey, or pour less ginger ale, the drink can almost double to 18 percent ABV.